In the last year alone, the music world has seen the unlikely return of Jawbreaker, the Misfits and quite possibly the original Smashing Pumpkins lineup. Could a Fugazi reunion be so far behind? 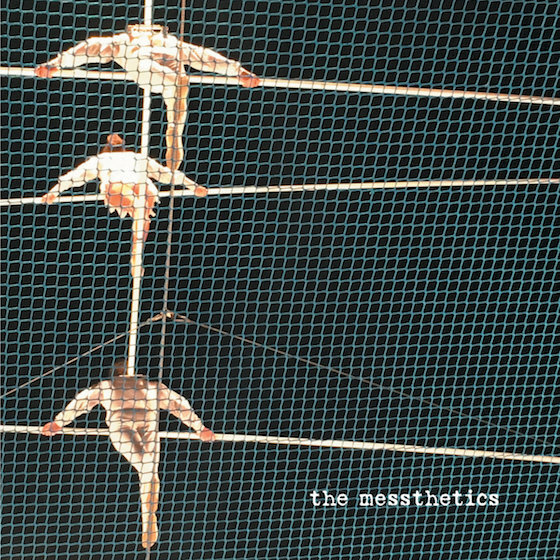 While we await the band's big payday, we're halfway there with a new project called the Messthetics. The trio sees Fugazi's sturdy rhythm section of Joe Lally and Brendan Canty team up with jazz guitarist Anthony Pirog. Their self-titled debut album features nine instrumental tracks that were recorded at Canty's rehearsal space last year. The release is mostly recorded live, with very few overdubs. The Messthetics will arrive on March 23 through Dischord. Listen to album track "Serpent Tongue" at the bottom of the page. The initial concept was to mix noise/improv guitar with dance grooves – a kind of apocalyptic dance party where the beat keeps you moving, but the guitarist relentlessly terrorizes you. The first track, "Mythomania" retains elements of that posture, but as reality has itself become more daunting, Anthony – a fearless guitarist – has moved closer to his listeners, and is now willing to astonish without being so confrontational about it. That doesn't mean the Messthetics in any way retreat from the responsibilities of a "hard" sound, just that its volume and edge never eat the bold structural ideas that define this new music. Anthony will even lubricate his tricky time signatures with energetic two-note riffs to keep the listener head-bobbing through the twisting structures. And when their collective voice is thick and heavy (like on "Crowds and Power"), it is neither ponderous nor plodding. Their performances and this debut recording have a lift and buoyancy that reflect back into the audience the love and gratitude at the foundation of this trio's journey.